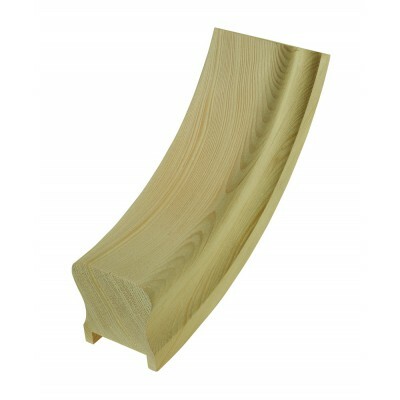 Trademark up easing (also called an up-ramp or a concave ramp) made from quality hemlock by Richard Burbidge. For use with both post-to-post and continuous over-the-post handrail systems. Fits 32m and 41mm spindles. Used to connect a horizontal handrail or handrail fitment such as a volute or opening cap to your staircase handrail, or to attach a handrail to a vertical turn. Please note: up easings will need trimming to suit the pitch of your staircase.